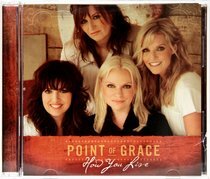 Customer Reviews For "How You Live"
What a fantastic CD. I would have to say it is their best yet. Reaching past all boundaries to the deepest recesses of ones soul. I love music and I love to sing and there are times when singing you loose the touch of the Lords love through your voice, but this has re-ignited that love yet again and reaffirmed my faith in God yet again.